If you want to secure the elite growth of your accounting business, then the QuickBooks Hosting can be the most incredible option for you to enter into the pleasure state of maintaining accounting operations with ease. What about QuickBooks Online? There are many reasons which rank the hosted QB higher than Intuit’s QuickBooks Online. Deeming 24-hours free technical Support: QuickBooks hosting stands upright in providing round-the-clock high-quality technical support while Intuit fails in providing full-time support to its customers. Intuit’s QBO shows unavailability in providing technical and update support at the time of release of its new version. More precisely, for three-year price, they provide support for 2.5 years only. Self-hosting and private cloud servers: Hosting providers set up their own reliable cloud servers without any outsourcing dependency while Intuit is using rental-only product and has given licences to a new company in the market. Renting on servers unnecessarily adds to the hosting price which customers have to bear. QB Hosting saves this extra since the client has his dedicated space for data storage on remote server at no extra cost. User-friendly and easy customisation: Best thing about hosted QuickBooks is the simplicity of this cloud application along with its ease of use. While QBO usage is generally limited to a one-person arena, hosting services can be utilized by a number of users which is flexible to change. 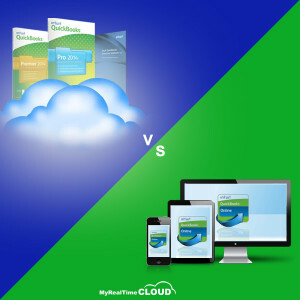 Additionally, users can get any version and editions of QuickBooks hosted on their remote servers and sometimes, even more than one on the same server. QB Online is limited to the functionality defined in the software. High uptime with quick backup facility: QuickBooks hosting generally has greater uptime and better backup features as compared to the QB Online edition hosted by Intuit. Less System Configuration needed for Setup: QuickBooks hosting needs very basic configuration of 1.8 GHz processor, 1 Giga Byte Disk, 256 MB RAM for single user and up to 516 MB RAM for multiuser processing. Internet Explorer of 6 or higher version with 30 GB Free Disk is to be needed for smooth functioning of the hosted software. Intuit’s QB Online at the same configuration provides up to 73% less bandwidth to its users which marks a considerable gap in the Quality of Services provided. Great and improved Features in the upgraded Version: QuickBooks Hosting offers a customize arena where the users can choose which desktop edition to upgrade to. This way, the users can make use of the upgraded features that they wish to add to their existing system. On the other hand, Intuit’s QBO provides its users with upgraded price but very few upgraded features in its new version. QuickBooks hosting though weighs heavy as opposed to QBO but it totally depends on the choice and requisites of the users as to which of the two seems feasible to them.